We live in a globalizing, digitalizing, integrating, disintegrating, trade liberalizing, resource-depleting, climate changing, migrating, warring, peace-making world. It can be difficult to make sense of it. All the same, you have this nagging feeling that it somehow affects you. That’s because it does. And it will continue to do so. Our European Politics and Political Science & International Relations programs will help you make better sense of the world. With a stronger understanding of political forces, you’ll be able to approach problems from fresh viewpoints, see through mental walls and develop solutions that others may miss. So whether you end up working in a multinational corporation, running your own business, serving your government in a ministry, building Europe in Brussels, tackling global issues in an international organization or leading social change in an NGO, you’ll need a developed framework to better understand the world and practical skills to help you travel upon your life path. To build these, our students learn and engage both in and out of the classroom. 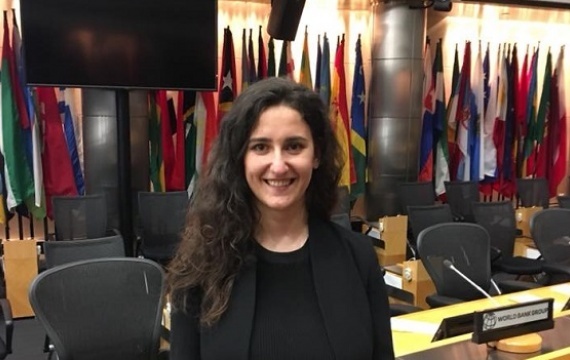 They also participate in exchange programs at European and American universities, intern in government and NGOs, take the floor at AUBG’s annual Model United Nations simulation and discuss current events in the Political Science Club. Simulations of European and international institutions are an integral part of the Political Science/International Relations and European Studies curricula. AUBG hosts an annual Model United Nations simulation with participants from many foreign countries. Political Science and European Studies majors have received institutional support to attend simulations, conferences, and student meetings abroad. AUBG students majoring in Political Science and/or European Studies normally participate in exchange programs at major European and U.S. universities. 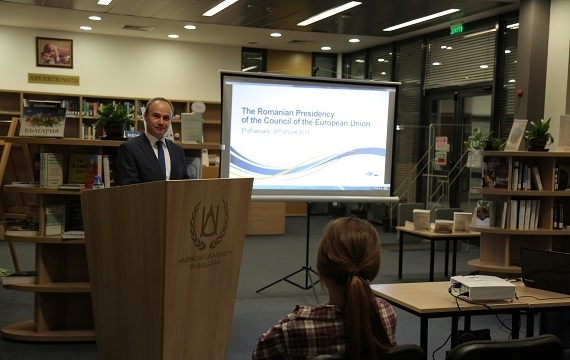 The student-run European Youth Parliament and the Political Science Club, which partners with the Political Science Club at Sofia University, organize activities and host guest lecturers from the field of politics. Some of the guest lecturers to speak at departmental activities include ambassadors, current and former ministers and prime ministers, renowned scholars, and civil society leaders. The Department holds public discussions of important world events.